Is this your neighorhood? It's very possible. Potholes: they seem to be popping up everywhere right about now. We've got a roundup of your most frequently asked pothole-related questions:. How do potholes form, and why are we seeing so many right now? The Virginia Department of Transportation answered this question for us. VDOT says potholes are created when moisture from rain and snow seeps into the pavement. That moisture freezes and expands and then thaws out, which loosens the pavement. Combined with our winter of snow and ice, along with lots of freeze-thaw cycles mean more potholes than usual. Who should you call to report pot holes that need to be repaired? D.C.: Call 311 or complete this form. Montgomery County: Call 311 or complete this form. Prince George's County: Call 311 or contact the Department of Public Works & Transportation. Fairfax, Loudoun and Prince William Counties: Contact the Virginia Department of Transportation. Arlington: Contact the Department of Environmental Services. 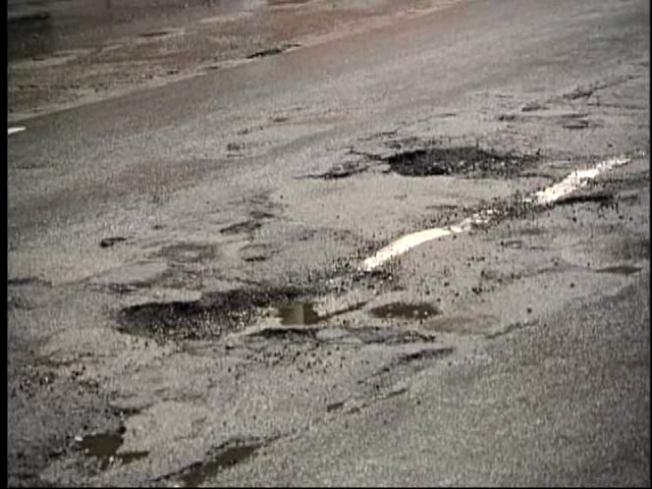 Will a jurisdiction reimburse you for pothole damage to your car? All jurisdictions told us that claims are evaluated on a case-by-case basis. In D.C., you file a claim with the City’s Office of Risk Management. In Maryland you file a claim with the State Treasurer's Office. In Virginia you file a claim with your local VDOT office. If your car suffers serious damage, you may still want to file an insurance claim in case you are denied any reimbursement.